Here's the official trailer for Amazon's "LORE", premiering Friday, October 13 on Prime Video. Based on the popular podcast of the same name, which has an average of five million monthly listens, the anthology series presents the frightening and often disturbing tales based on real people and events that have led to our modern-day myths and legends. "LORE", featuring Robert Patrick ("TERMINATOR 2: JUDGMENT DAY"), Kristin Bauer van Straten ("TRUE BLOOD"), Adam Goldberg ("FARGO"), Holland Roden ("TEEN WOLF"), Colm Feore ("HOUSE OF CARDS") and Campbell Scott ("THE AMAZING SPIDER-MAN"), combines documentary footage, narration, historical mixed media and cinematic scenes to bring to life terrifying, but true stories. 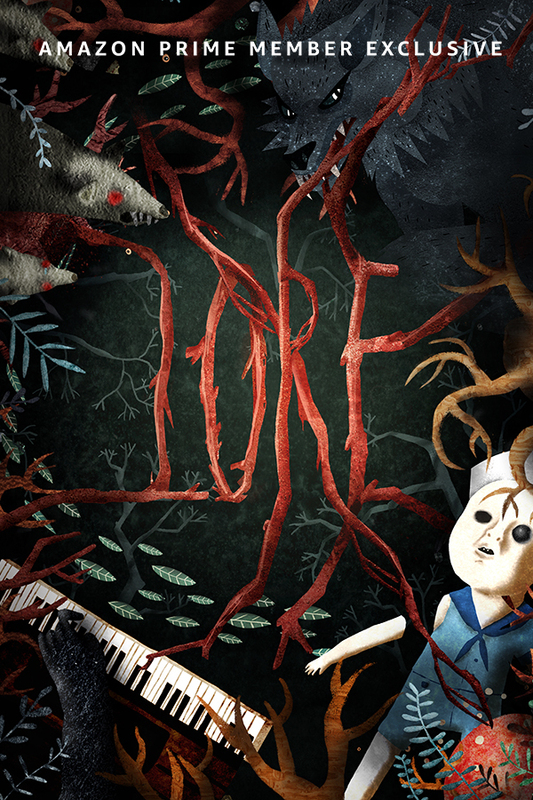 "LORE" will feature fan-favorite episodes from the podcast, including the tale of a boy given a doll that seems to have a sinister life of its own; a family whose home appears to be inhabited by a spirit from the other side; and a German village that hunts for a murderous creature. Synopsis : From the executive producer of The Walking Dead and the executive producer of The X-Files, this anthology series brings to life Aaron Mahnke's "Lore" podcast and uncovers the real-life events that spawned our darkest nightmares. Blending dramatic scenes, animation, archive and narration, Lore reveals how our horror legends - such as vampires, werewolves and body snatchers - are rooted in truth.